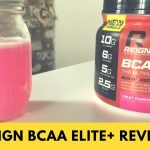 Home » Reign BCAA Elite+ Review — Why Is There Pepper In This? 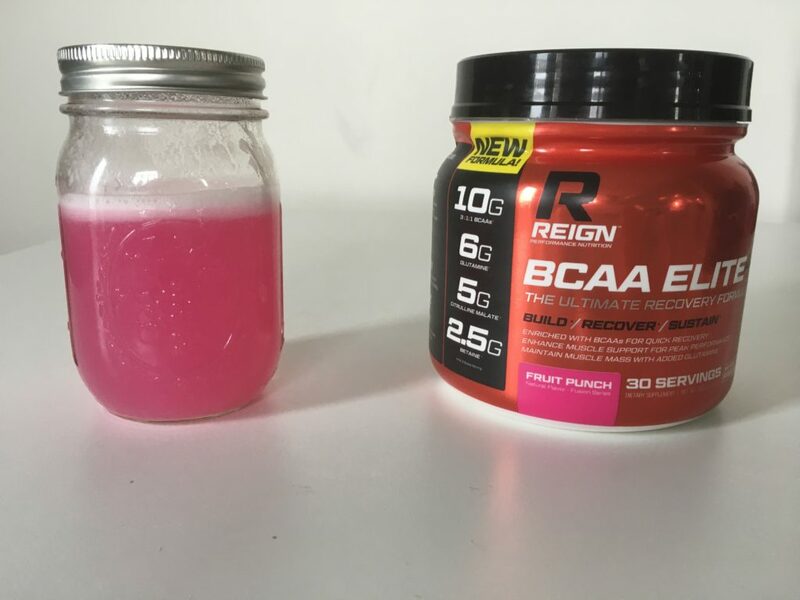 Reign BCAA Elite+ Review — Why Is There Pepper In This? Reign Performance Nutrition is an Oregon-based supplement company that’s not super well-known — they only ship in the United States — but they’re committed to changing the game. Their website states that they were tired of proprietary blends and secretive ingredients lists in supplements, which is why their products list the weight of every ingredient and are processed in facilities certified by Good Manufacturing Practices. 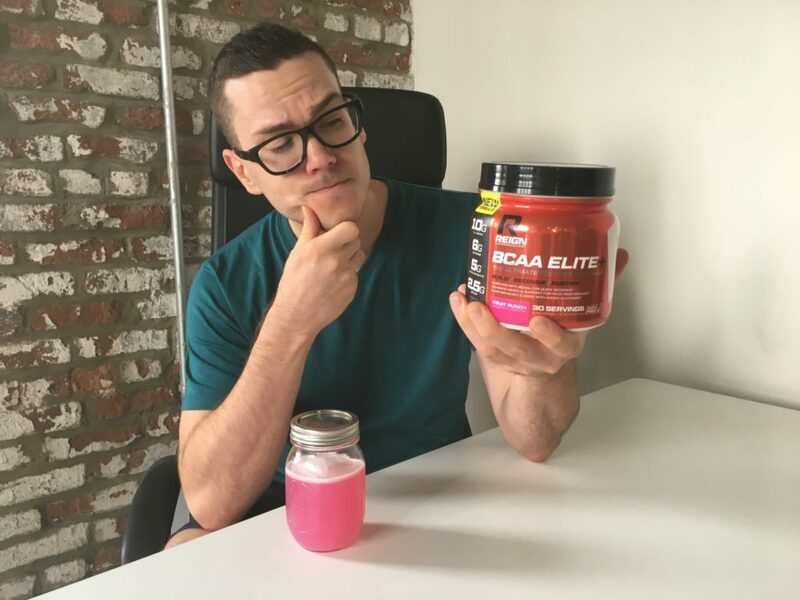 Reign sells a lot of fat burners and pre-workouts but we decided to try BCAA Elite+, which they call their “ultimate recovery formula.” Does it deliver? Read HERE to shop Reign BCAA Elite+. At 24 calories per scoop (all from six grams of carbs), this is one of the highest calorie BCAAs you’re likely to find. The BCAA formula follows the popular 3:1:1 ratio of leucine, isoleucine, and valine, and there are five grams of them total per scoop. There’s also a good serving of electrolytes, about 40mg each of sodium and potassium, plus 6mg (that’s 300 percent of your daily intake) of Vitamin B6. Then there are the extras: 2.5 grams of citrulline malate, 3 grams of glutamine, 1.25 grams of betaine anhydrous, and 5mg of black pepper extract. I’ll discuss the benefits of these ingredients in the section below. Finally, there are the “other ingredients”: maltodextrin (an artificial sugar usually made from corn or wheat), citric acid (for flavoring), natural & artificial flavors, sucralose (an artificial sweetener also called Splenda®), beet juice, and silicon dioxide (an anti-caking agent). The BCAA formula follows the popular 3:1:1 ratio of leucine, isoleucine, and valine, which is intended to help you retain muscle, focus, and push through tough workouts. There are five grams of them per scoop, though a lot of people prefer 7 to 10 grams per serving so you may want to double up. Indeed, one thing that’s frustrating about BCAA Elite+ is that the nutrition info states the nutrition of a one-scoop serving, but the label advertises what’s found in a two-scoop serving. So for example, in giant letters on the front it claims there are 10 grams of BCAAs, 6 grams of glutamine, 5 grams of citrulline malate, and 2.5 grams of betaine. Then in tiny letters it says, “per two-scoop serving.” It would be easy for someone buying the product to think that 10 grams of BCAA per serving at this price is good value. It actually isn’t. Reign actually seems to be banking on you doubling the serving size. For example, it contains 2.5 grams of citrulline malate, which is linked to improved circulation and may promote endurance, but studies suggest that an effective dosage is 5 grams. There’s 5mg of black pepper extract which may increase the supplement’s absorption rate, but typical doses are closer to 20mg. Otherwise there’s a decent amount of Vitamin B6, which may promote muscle retention. There’s also betaine anhydrous, an ingredient found in beets which may improve power output, but there’s definitely no consensus on this one and the scientific community seems to find this a dubious conclusion. Finally, there’s glutamine. Glutamine is the most abundant amino acid in the body, and while sports nutritionists used to think it was great for muscle building, this is no longer the case and it doesn’t seem to be a particularly effective addition to any supplement. Unless you have a deficiency or you’re suffering from burns or skin grafts (glutamine is sometimes administered to help rebuild tissue in these situations), you probably have more than enough of it. You can buy 30 one-scoop servings for $25, so thats 83 cents per serving or 16 cents per gram of BCAAs. (That’s referring to the three primary BCAAs themselves.) Most competitors are closer to 11 or 12 cents per gram of BCAAs, so Reign is somewhat pricy, particularly as you may be doubling your serving size for the aforementioned reasons. This tasted a little different to other fruit punch-flavored BCAAs. It was definitely reminiscent of maraschino cherries and watermelon candy — which is standard — but it also tasted like cotton candy. It’s actually quite nice, but the flavor is strong. I only mixed one scoop into 1.5 cups of water, and I wish I’d used at least 2 cups of water. 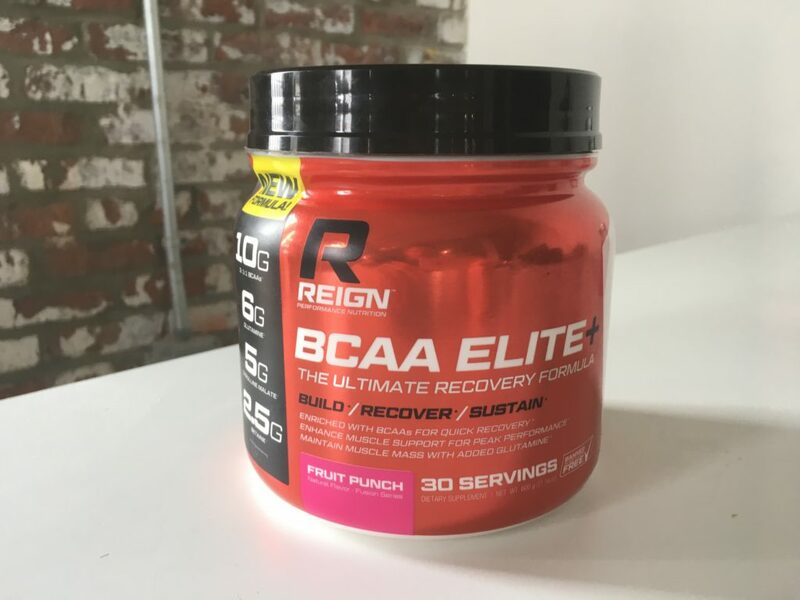 I was excited to review Reign because I dislike supplements with proprietary blends, but I wasn’t super impressed by Elite BCAA+. The BCAAs are all there and it has plenty of electrolytes, but Reign knows you’ll want to double the serving to get the most benefit. They even advertise on the package the ingredients of two servings instead of one. When that’s combined with the fact that the black pepper extract, glutamine, and beta anhydrous may not have a huge benefit, and the fact that it’s higher calorie than some other similar supplements, I didn’t find Reign brought much unique to the table.